Santa_Monica_Oral_Surgeon if you need an oral_surgeon, Dr. Haber provides Dental_Implant , wisdom teeth Extractions, and many other Oral surgery procedures to the century city , malibu , culver city , Mar Vista , marina del rey , Pacific Palisades , and Santa Monica Area. Santa Monica Dental Implant , Dr Haber uses a variety of dental implant technologies, and places a very special emphasis on full dental implant reconstructive, restorative and Cosmetic dentistry . Santa Monica Scaling and root planing for gum disease, gum treatment, deep cleaning: Scaling and root planing is one of the most effective ways to treat gum disease before it becomes severe. 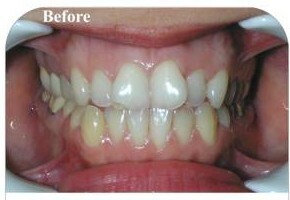 Root planing and scaling (deep cleaning) cleans the pockets, the spaces between the gum and the tooth root surface. Richard Haber DDS Santa Monica Dentist, 15th Street, Santa Monica, CA .